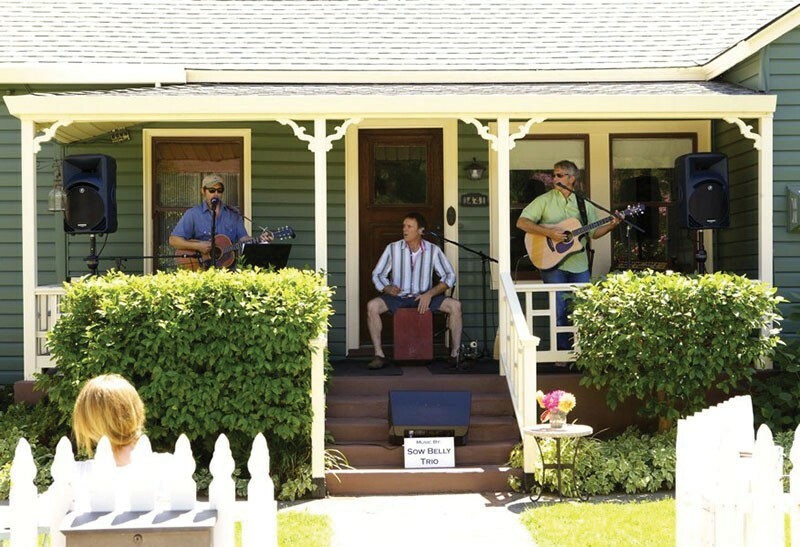 Reportedly the first of its kind west of the Mississippi, Napa's free, daylong PorchFest marks its sixth year this weekend, with over a hundred local bands showcased on stoops, steps, in yards and, yes, on porches throughout Napa's historic downtown neighborhood on July 31. With each venue in comfortable walking distance of several others, a sturdy pair of shoes is all that's required as you stroll through the neighborhood's Victorian houses. Or pack a picnic, blanket and lawn chairs, and set up at any one of the nearly 60 stages to watch regional songwriters and bands perform everything from bluegrass to classical and Celtic folk to gospel. This year's lineup includes Calistoga/Santa Rosa–based roots rockers the Restless Sons, fresh off a tour in Japan, playing at noon at 1456 Pine St. with indie songwriter Zak Fennie. Visitors to the Churchill Manor B&B will get to hear Napa rhythm and soul storyteller Brian Coutch and his band split the afternoon with Bay Area blues veterans the Jimmy Smith Band. And Napa's main library at 580 Coombs St. hosts sets by jam rockers the Benders, Nuclear Blonde and the Diamond T Band. This year's theme, "Out of the Garage and onto the Porch," signifies the volunteer-run event's ongoing evolution and expansion, boosted by the community's continued support. Also boasting a bevy of food trucks and a family-friendly atmosphere, PorchFest goes down throughout downtown Napa. Noon to 6pm. Free. napaporchfest.org.